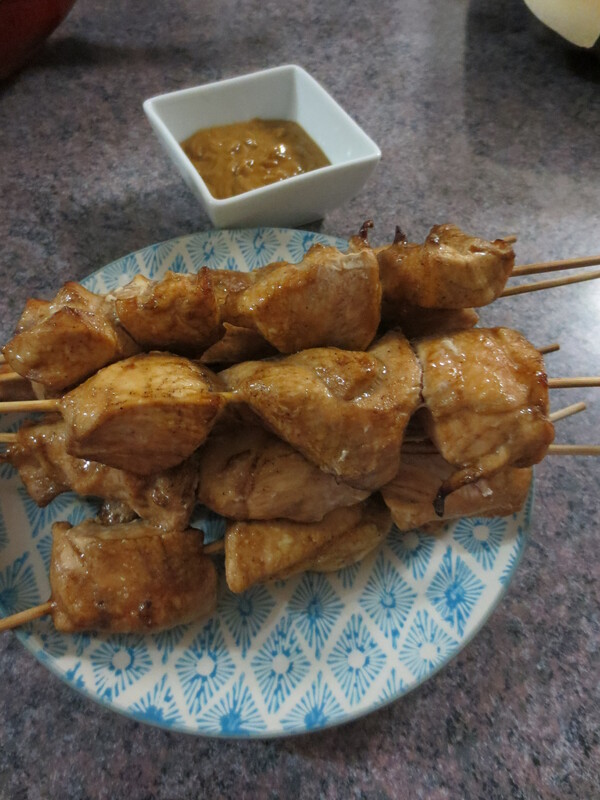 A good peanut satay sauce turns skewered meat on a bed of rice into a tasty meal. Gently fry onion and garlic in oil until onion is soft. Add vinegar, soy sauce, sherry and brown sugar and cook for 1 minute. Stir in peanut butter to combine. Slowly add the coconut milk and cook over low heat until well blended. 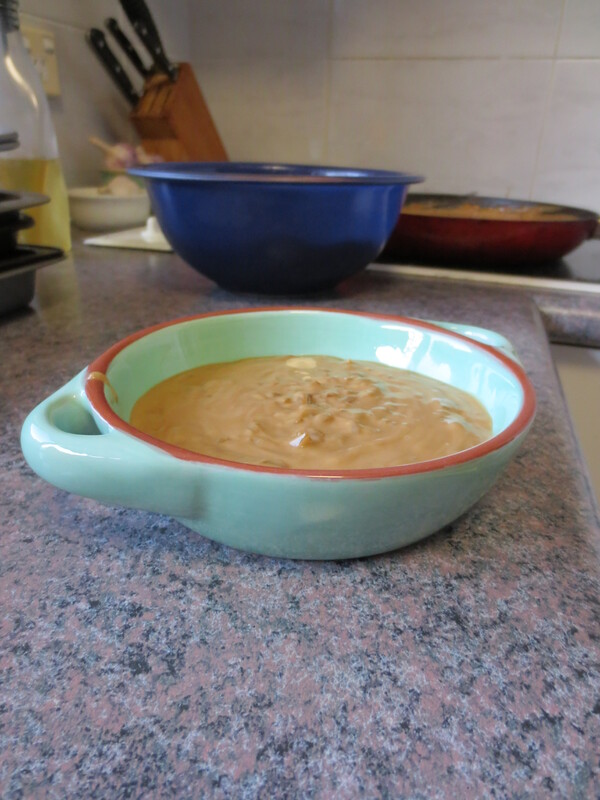 PS Despite what my husband says about the look of the peanut sauce, this is really a creamy and tasty sauce worth getting the fry pan dirty for.